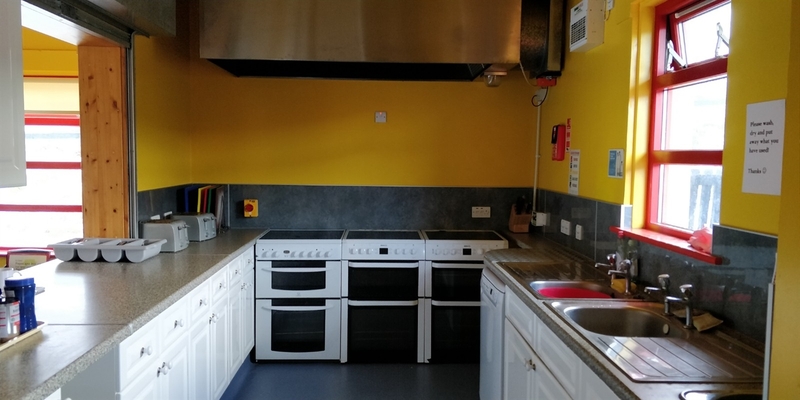 Comfortable 28 bed hostel situated at the foot of the rugged Harris Hills, with views across Loch Seaforth. An ideal stop off on The Hebridean Way and a great base for hill walking and mountain biking. 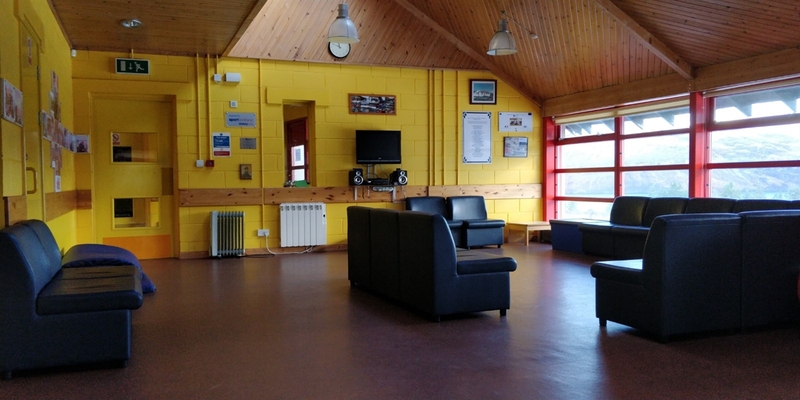 The Scaladale Centre is also an Outdoor Activity Centre offering a range of activities for visitors, and running self catering mountain bike holidays in Spring and Autumn. 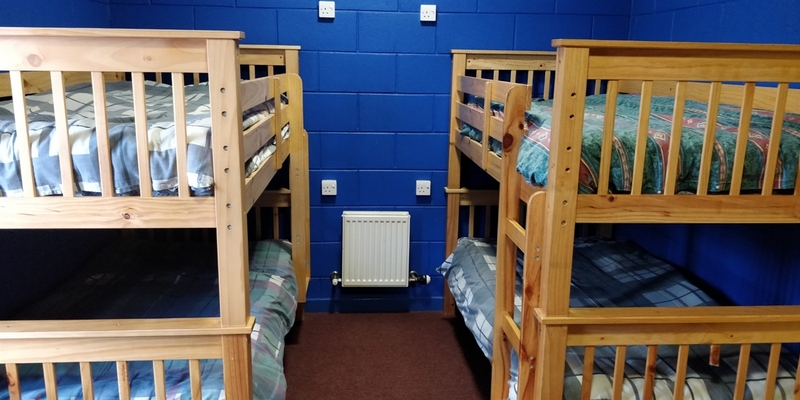 The Scaladale Centre is a comfortable 28 bed hostel offering bunk beds in dorms that are either en-suite or share bathroom facilities. It is rare, however, that you will have to share a room with people you don't know. 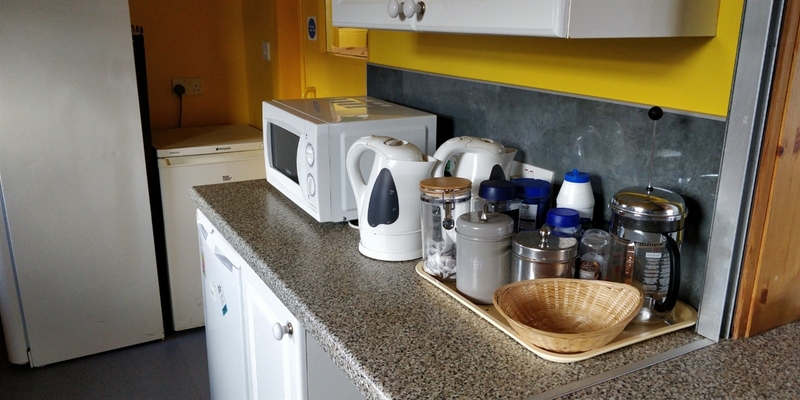 There is a well equipped kitchen with cookers, microwave, dishwasher, fridge freezer etc. A large communal room commands amazing views across Loch Seaforth, and houses indoor games such as ping pong and table football. There is a drying room and bike storage. Individuals or groups may book the hostel, and there are group rates on application for sole use of the whole hostel. New! We now offer week long guided mountain bike holidays which may be booked onto during March, April, October and November. Guests arrive on Sunday, go mountain biking for five days, and leave the following Saturday. Bikes, equipment, sight seeing excursions, shopping delivery and use of the ice rink are all included in the holiday price (£406 per adult, £349 for children aged 10-17) Transfer from airport or ferry can also be arranged. Spring and Autumn Mountain Bike Holidays at Scaladale! 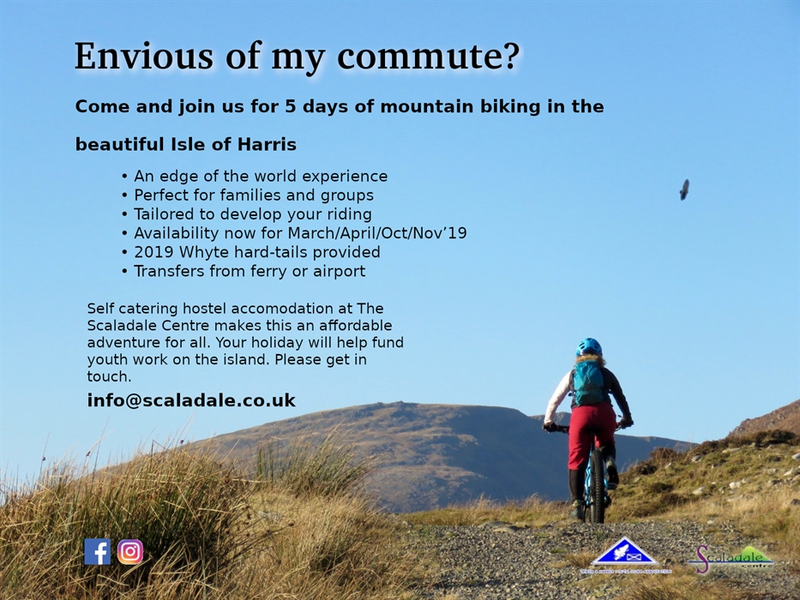 Introductory Offer: 5 days (6 nights) at The Scaladale Centre with qualified mountain bike guiding/coaching to develop your wild riding skills in the remote and beautiful Harris Hills, plus a day's coaching on the purpose built trails at Lews castle Grounds. Package costs £406 per person but this introductory offer is just £349! A brand new Whyte hard tail is provided as part of the package, we have sizes to fit 4'6" and upwards. This holiday will suit families and groups wishing to have fun together and challenge themselves whilst developing their mountian biking skills in a truly remarkable environment. There will be a maximum of 8 individuals on each week's holiday, so the experience will be tailored to the abilities and exectations of each group. The Scaladale Centre will be yours for the week. You will be able to make use of the ice rink in the evenings, and cater for yourselves in a very relaxed and informal environment. Shopping will be done for you, and, when not riding you will be shown local beaches and taken on excursions (e.g Callenish Stones) as part of this offer. We will also collect you from the ferry or airport and drop you back, so driving need not be an issue. We currently have availability in March, April, October and November 2019. If you are interested please e-mail info@scaladale.co.uk for more details, or phone 01859 502502 and talk to Kate.